Tired of the mundane Netflix and chill? 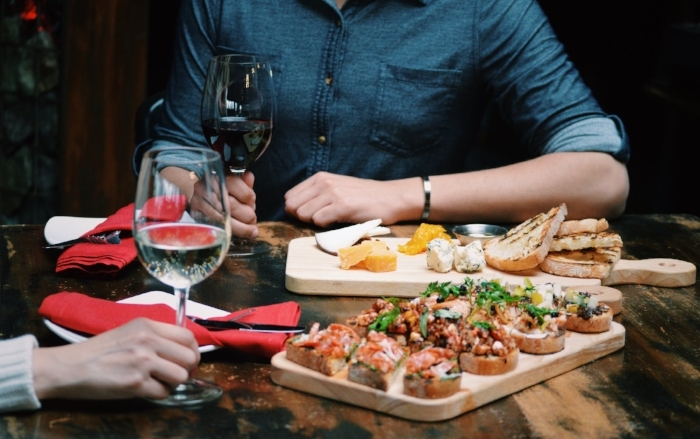 Switch up your date night with this interactive cooking class! For our first course we will create a decadent cheese fondue with chard bread and roasted vegetables for dipping. Next, couples will learn how to sear the perfect porter house steak, paired with potato gratin and seasoned with a rich spice and truffle butter. To top off the evening, we’ll have a build your own sundae bar where guests will learn how to make Chef Thomas’s beautiful signature dessert garnishes, like roasted white chocolate, intense berry powders, and fresh honeycomb.